I am a sole trader who is looking to expand my business. 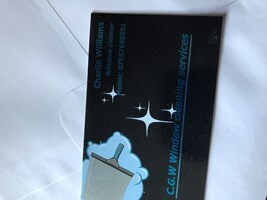 I have been working for myself now for 2 years but have 8 years experience in window cleaning. Will make sure the job is done to the best of my ability and will wipe all seals and frames.